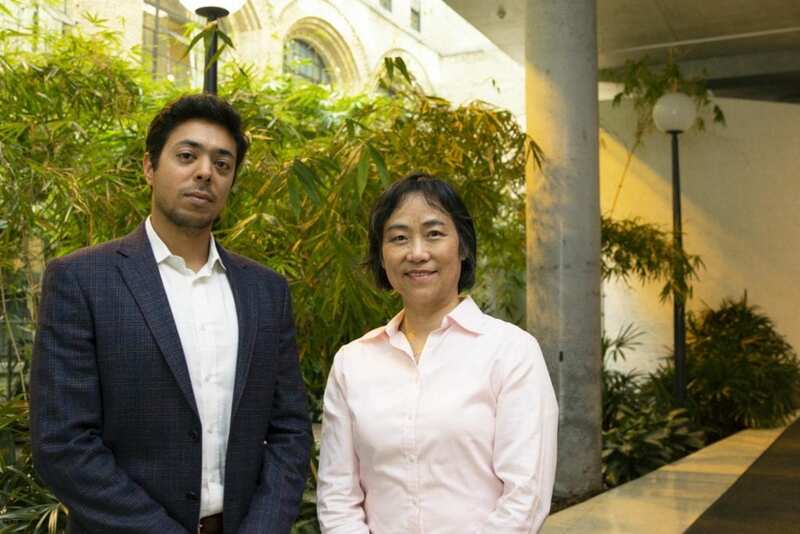 Scientists at the University of Toronto's Leslie Dan Faculty of Pharmacy have seen remarkable success combining tumor modulating nanoparticles with doxorubicin to enhance chemotherapy response in pre-clinical model breast cancer. This combination approach also appears to boost anti-tumor immunity, contributing to the growing excitement surrounding immunotherapy as an avenue to treat cancer. Chemotherapy is a first-line treatment for many cancers; however, the makeup of tumor microenvironments is often a key barrier to the effectiveness of treatment, requiring that patients receive higher doses in order to get the desired result. The adverse effects of repeated high-dose chemotherapy can have significant detrimental effects on a patient's health, such as damaging healthy tissues and organs, which can themselves be fatal. "The challenge is to find new ways to get better treatment outcomes with lower doses of chemotherapy," says Xiao Yu (Shirley) Wu, senior investigator and professor at the Leslie Dan Faculty of Pharmacy, University of Toronto. "Our combination approach outlined in this study appears to reduce tumor resistance to doxorubicin, making the chemotherapy effective even at a low dose." In fact, the research team found that a single treatment with the tumor-modulating nanoparticles and the commonly-used chemotherapy drug led to an astonishing 60 per cent cure rate in the pre-clinical animal models, meaning a complete tumor regression and enhanced life expectancy by five-fold compared to treating with chemotherapy alone. "By using the nanoparticles to target and change the tumor environment before administering drug treatment, we were able to knockout the tumor's ability to resist the treatment -it's a game changer," says Mohammad Ali Amini, first co-author on the study recently published in the Journal of the National Cancer Institute, and a PhD candidate in the Department of Pharmaceutical Sciences at the Leslie Dan Faculty of Pharmacy. In 2014, Wu and her team published the first-ever use of the nanoparticles developed specifically to suppress a well-known drug resistance factor called tumor hypoxia, a term used to describe the lack of oxygen in a cancerous tumor and other hypoxia-induced factors. "The nanoparticles we developed are made up of manganese dioxide, an oxide of the nutrient mineral manganese that already exists in our bodies," Wu explains. "They accumulate in the tumor and remodel the tumor environment by generating oxygen and changing the conditions to such an extent that, the chemotherapy becomes more effective." While the team anticipated the nanoparticles would improve chemo-drug uptake and efficacy, the strikingly high cure rate was surprising and suggested that the nanoparticles were also triggering an anti-tumor immune response. Intriguingly, a few days after the combination treatment, an increased amount of specific anti-tumor T-cells was found in tumors. The team also re-challenged the cured models with the same type of cancer cells and found that 88 per cent of them showed resistance to new tumor growth. "This means there was an additional, immunity-boosting effect of the treatment," says Amini, "which made sense because a key feature of nanoparticles is that they increase pH and decrease oxidative stress in the tumor, which also provides better conditions for immune cells to enter the tumor and become more active." Taking the study one step further, the researchers then collected the anti-tumor T-cells and placed into completely new hosts that were subsequently exposed to the same cancer strain. Strikingly, they found 57 per cent of recipients showed no tumor generation at all. "This means the T-cells were effectively fighting the breast cancer strain and that the immunity was actually transferred from a donor to a receiver," says Wu. "It was very exciting that a single combination treatment could produce T-cells for immunotherapy." While very promising, these novel findings will need to be validated using different pre-clinical models and by further investigating the exact mechanisms and pathways that led to the initial cure rate and immunity-boosting response. "Once these are better understood, we can move on to designing a more clinically applicable treatment approach," says Wu. The Leslie Dan Faculty of Pharmacy at the University of Toronto is Canada's leading school of pharmacy, offering cutting-edge undergraduate and graduate programs. We are globally recognized for impactful research and fostering expert and innovative clinical practice. Our scientific research focuses on the role of pharmacists in the health care system, as well as drug discovery and delivery. We are committed to advancing education programs that develop leaders in science and clinical practice and to strengthening the link between research, education, and patient care.